How can I sell my motorcycle is Cornwall?! Its easy with We Buy Any Bike! We Buy Any Bike is the UK’s number one motorbike buyer and bike trader, we collect for free, so sell your motorbike for cash today!… Or any major method of payment you prefer. 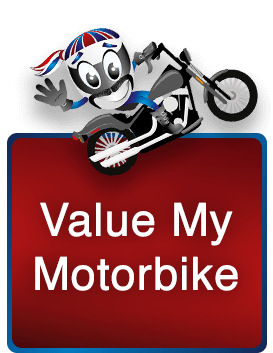 If you would like to sell motorbike, try We Buy Any Bike! We make it easy to sell a bike online! Cornwall is one of the top locations we pick up from; we collect around 8 bikes from Cornwall per month. We are in the area pretty often so get in touch if you have a bike you want shifting. If you would like to know more about biking in Cornwall, motorbike trader WeBuyAnyBike have put together a guide for you… just keep on reading! Known as a homely and relaxed B&B, Keadeen overlooks the Lynher Valley in South East Cornwall. This is the ideal spot to start your adventures from in the morning, within good distance of both Dartmoor National Park and the South coast – great roads all around here! Falmouth is run by Judi and her family, they returned from living in the West Indies seven years ago and wanted to bring a bit of the chilled character back with them! This hostel is in a great location, just 2 minutes walk from the beach and 5 minutes from the town centre. If you prefer camping or caravanning to stay in hotels, head to this place! Situated in the beautiful location of Fowey Estuary, this site provides stunning views and really good faculties. Riding to Newquay anytime soon? Silver Jubilee is right in the heart! Offering everything you could want – sunbathing, surfing, relaxing and riding. Silver Jubilee is a great starting place for exploring the area, providing amazing food and a lounge bar for some pre-dinner drinks! Based in the stunning St Ives, The Regent has spectacular room views and facilities. Perfectly centred in the town, this hotel was actually built in 1926 by the known well architect Frank Nicholls. It has managed to capture the history while keeping it modern! Great place, with a great atmosphere. Perhaps the most famous of biker hangouts in Cornwall, Chequered Flag. You will never arrive here without seeing a few bikes parked outside. They offer everything you could want from hangout spot, great food, music, car park, take away services and more! Bikers love Frankies! Again, its unheard of to arrive at this place and there be no bikes on the premises. They always have cupcakes to offer or a killer burger. Check out their Facebook to see the menu. If you like hangouts USA style, you’ve come to the right place. Bikers love it here because of the amazing American food, jukebox on demand and general fun vibe! Another ideal hang out for bikers, family run business with awesome food and good parking! Are you just wondering what the top things to do in Cornwall are, where to head and what not to miss, check on this website! 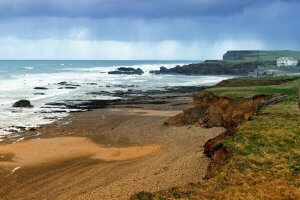 Visit Cornwall lists everything you sure 100% need to do when in the area. There is a search option so if you want to know the details of somewhere specific, this is the place to go! Need to know something in particular about biking in Cornwall? We Buy Any Bike always suggest checking out the local forums, who would be better to answer your question?! SouthWestBikers.com is a great place to start, simply post a question and get chatting! CAM was founded in 2001, formed as a subgroup running alongside the Cornish Car group. The group objectives are simple enough, they want to help and support fellow riders when they wish to take the Advanced Riding Test. 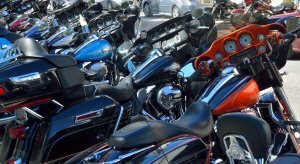 They promote safety on the road as well as building a bikers community in the area! Do you prefer trail riding rather than sticking to the road? This may be the group for you to contact while in Cornwall. Check out their website and have a read, if you like the sound of the group why not contact them. They invite you to go along to a meeting to discuss what you are wanting, the group does not charge a fee and the runs they organise are free too. Sell My Bike in Cornwall! If you are wanting to sell your motorbike in Cornwall, We Buy Any Bike would be happy to help. We always work to a high standard, making sure the deal goes smoothly for you. We Buy Any Bike will collect your bike for free from anywhere in mainland England and pay you to cash in hand or bank transfer, whatever works best for you! Value your bike with We Buy Any Bike! We make motorcycle valuations easy and quick. Sell motorbike in Cornwall today!